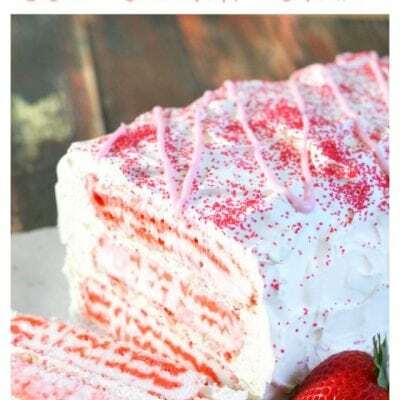 Strawberry Shortcake Ice Cream Cake is the easiest cake you’ll ever make, and the one that everyone will want the recipe for! 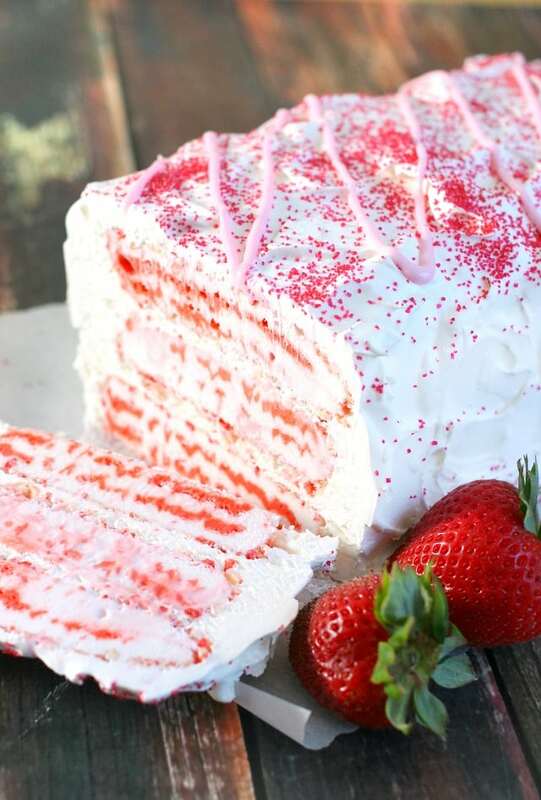 Yay for Strawberry Shortcake Ice Cream Cake!!! P.S. I love ice cream cake. Not like. Not strongly like. Loooooooove. Or lurve, if that’s even stronger. Not sure though, hip lingo isn’t really my thing. Infinity love. (infinity) x (infinity) + 1. It’s a serious kind of feeling I have for this food. 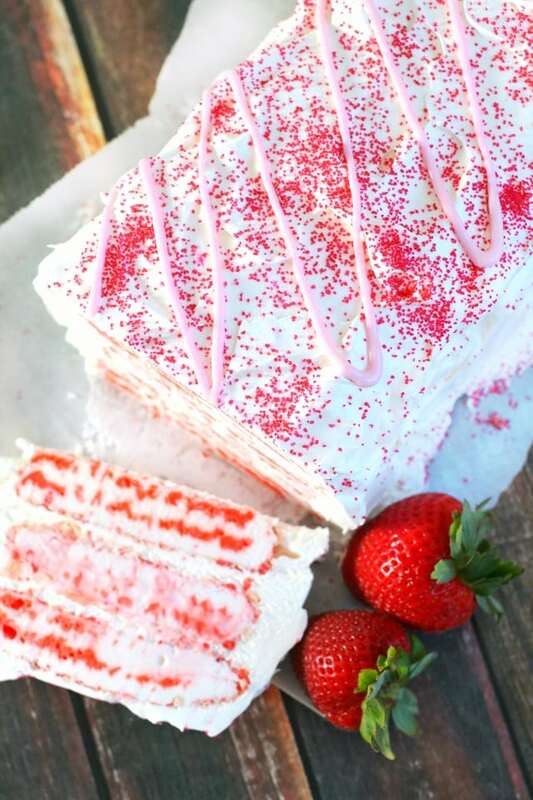 This Strawberry Shortcake Ice Cream Cake recipe was originally sponsored by Lunchbox, all recipes and opinions belong to Mama Loves Food. Every year growing up I asked for an ice cream cake on my birthday. And it was the beeeeest. There were never leftovers, because who can control themselves in the face of ice cream cake? So when I recently realized I could make ice cream cakes at home in like 4 seconds with two ingredients? Oh, hello happiest girl alive! Where did you come from? Oh, you know. The kitchen. Wheeeeeeeee! 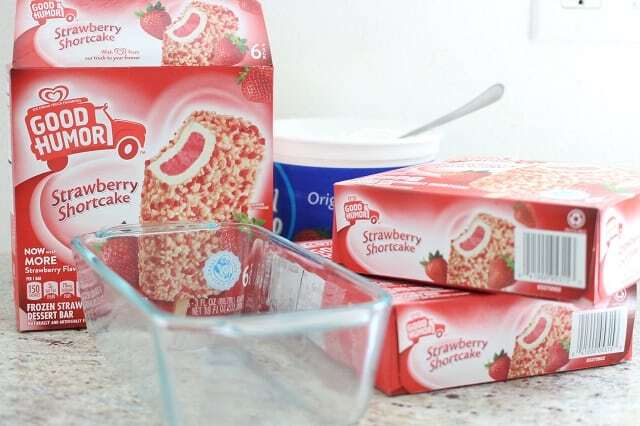 For this ice cream bar cake I purchased Good Humor Strawberry Shortcake Bars. Thanks to Albertson’s-Safeway, you can make summer moments even sweeter when you grab your choice of Unilever ice cream products! 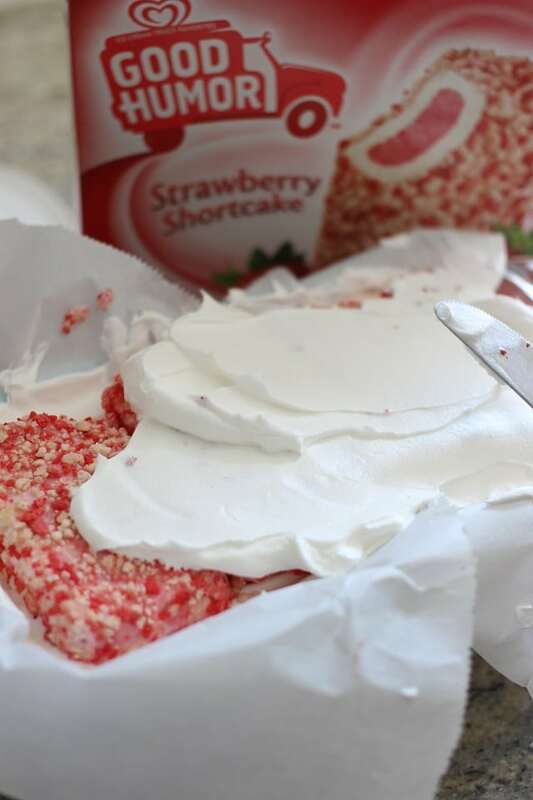 Line a loaf pan with parchment paper and place four strawberry shortcake bars across the bottom (make sure to remove the popsicle sticks first!). 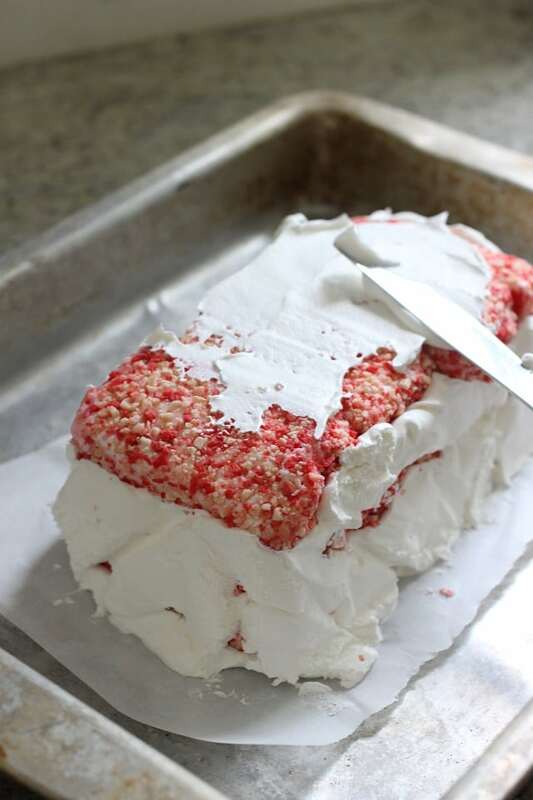 Spread a layer of whipped topping over the bars and repeat the layers until you're out of bars. Your last layer at the very top should be whipped topping. 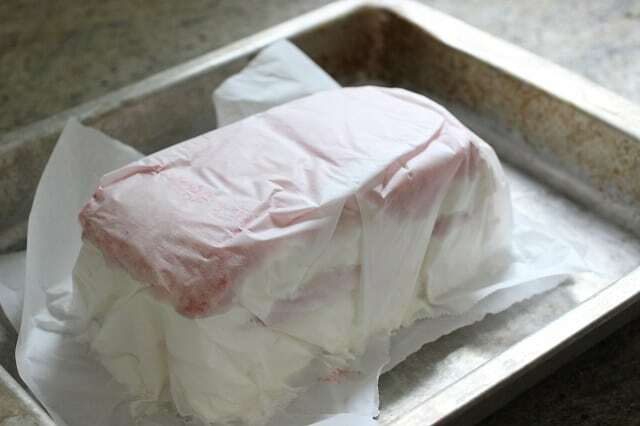 Place a sheet of parchment paper on top of the pan and place it in the freezer for several hours, until set. 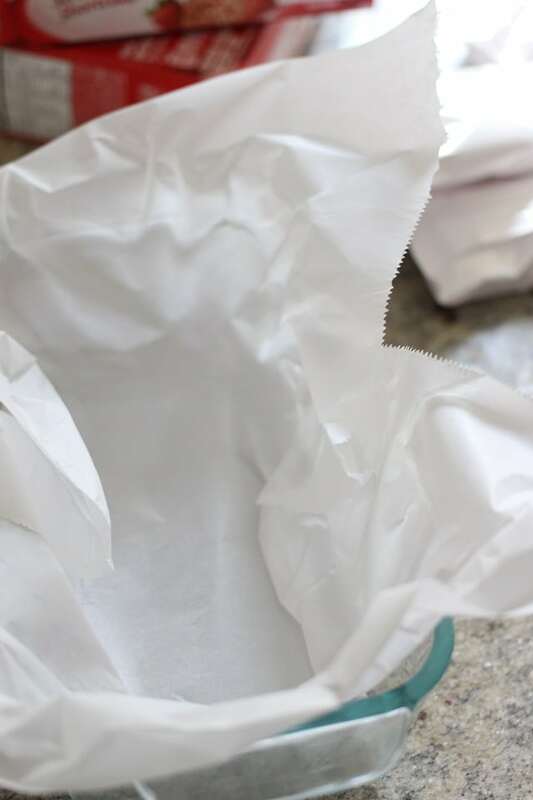 Once the cake is set, flip it out onto a serving platter (make sure it's one that fits back into your freezer) and use the remainder of whipped topping to "ice" the cake. 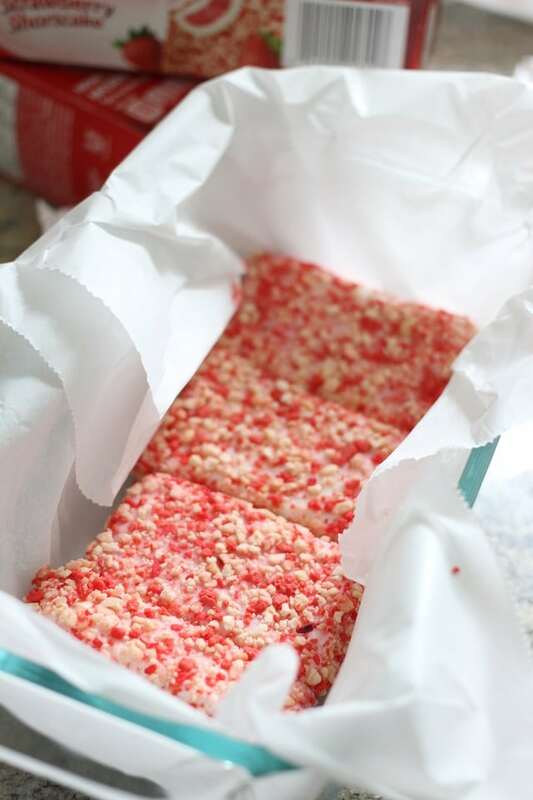 If you're adding sprinkles or other decorations, do so now. Return cake to freezer for at least 2 hours to set. Slice with a large sharp knife and ENJOY! 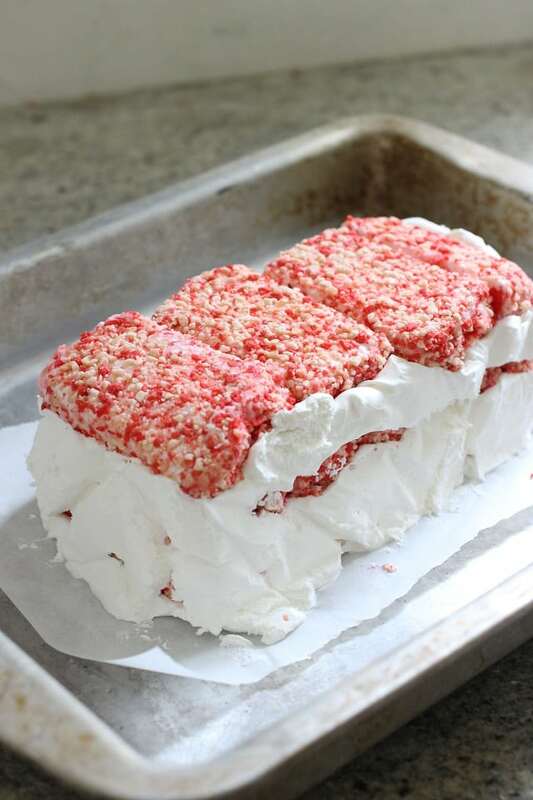 Spread a layer of whipped topping over the bars and repeat the layers until you’re out of bars. 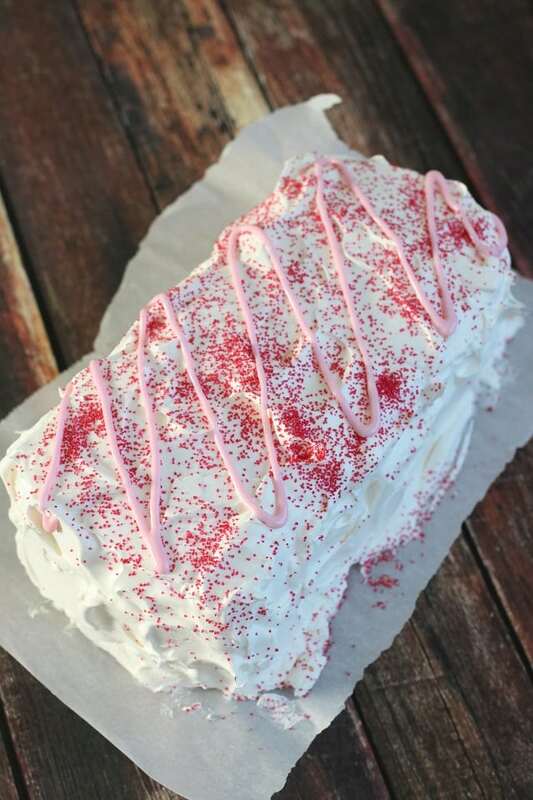 Your last layer at the very top should be whipped topping. 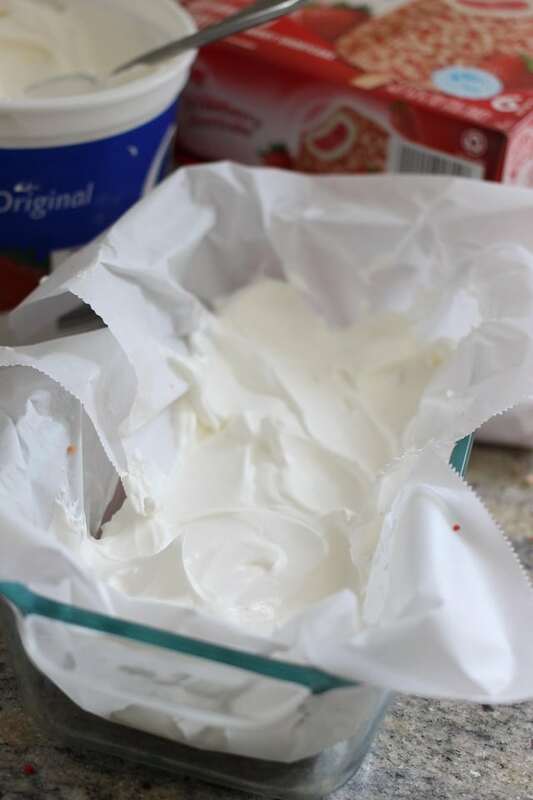 Once the cake is set, flip it out onto a serving platter (make sure it’s one that fits back into your freezer) and use the remainder of whipped topping to “ice” the cake. 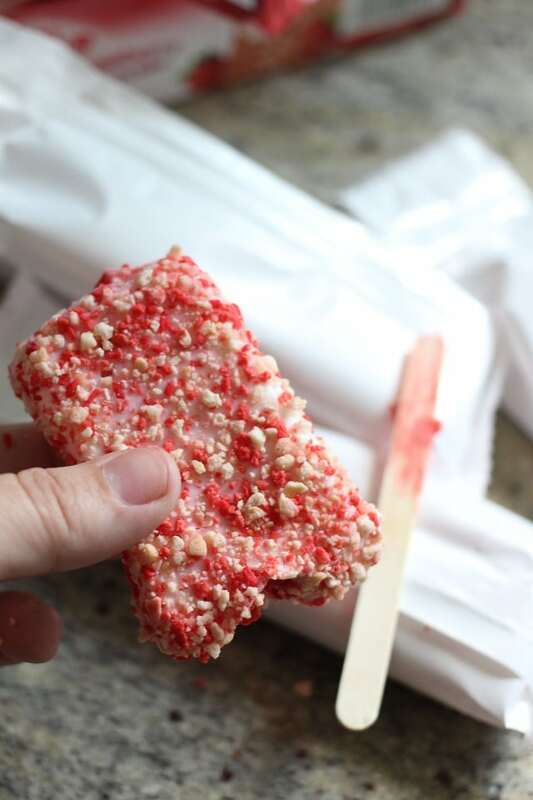 If you’re adding sprinkles or other decorations, do so now. Return cake to freezer for at least 2 hours to set.